SWARM » Orb arrives on the playa! Orb arrives on the playa! 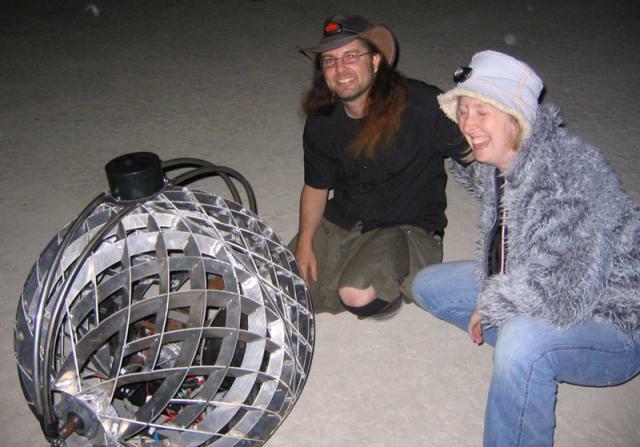 The orb has arrived on the playa, and thanks to our kind friends at Geek Week, we can blog live during our testing. Here, Beth and Tzara from the Geek Week camp examine the orb as it meets the playa surface for the first time! This is “Greek” to me but I’m glad you’re havin fun.